Cuban can be vegan too! Miami is immersed in Cuban culture. From the coffee to the art, Cuba’s heartbeat is felt in this city. We decided to honor our love for Cuban contributions (namely a colleague of mine who recently got his American citizenship!) 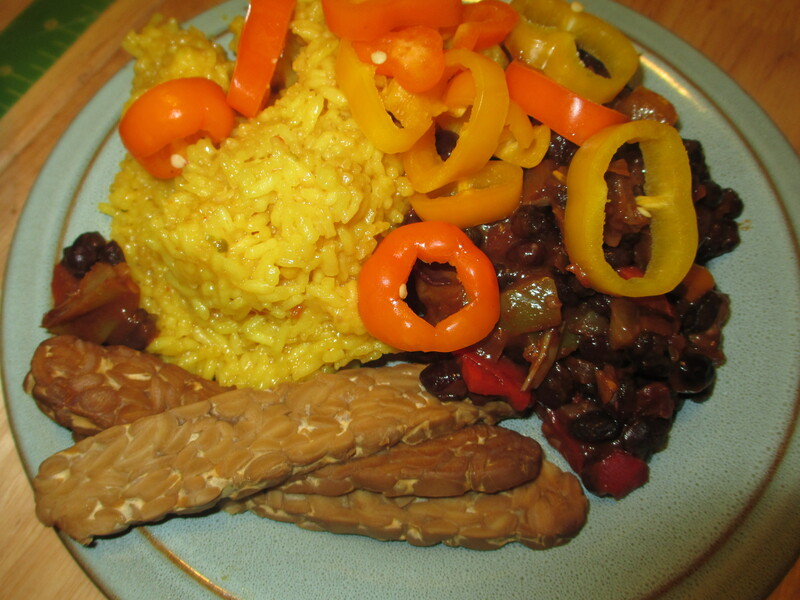 by creating a Cuban inspired vegan meal; black beans, pork, rice and plantains are stereotypical in local cuisine. 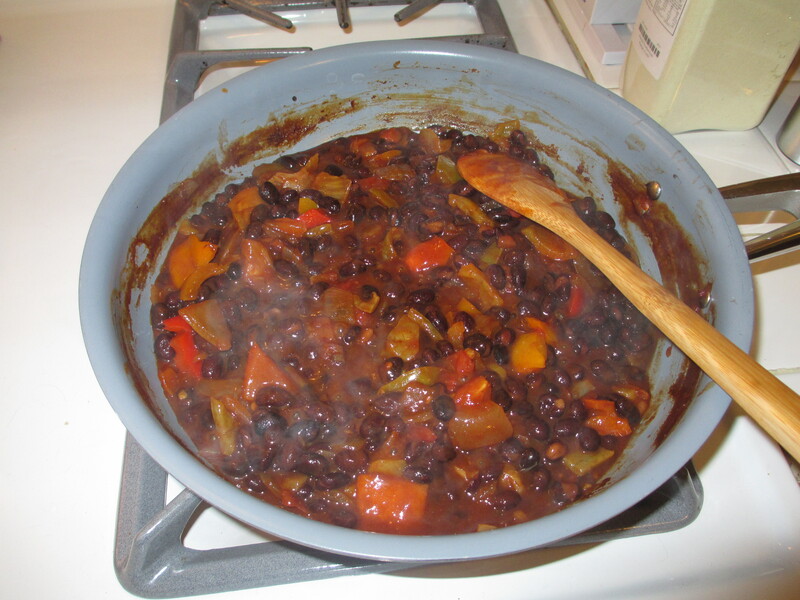 For the black beans, all we did was drain a tin of black beans and combine with some roughly chopped peppers, onions and tomato. We prepared some frozen Goya maduros in our oven. 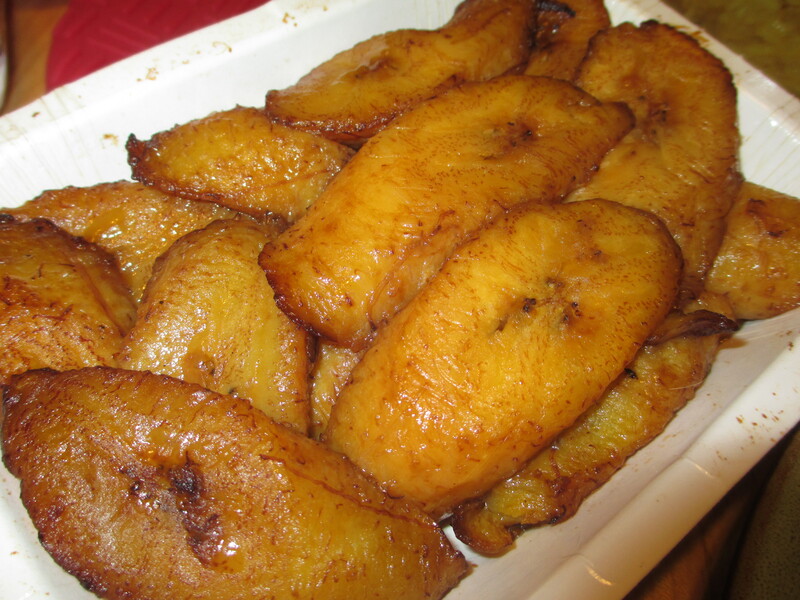 They’re basically fried mature bananas. They’re SUPER tasty. We made Vigo yellow rice. Instead of pork, we had maple bacon tempeh. A traditional preparation of pork in Cuban cuisine might be topped with sauteed onions and cheddar cheese. We decided on the rest of those peppers instead. All of this was really easy. It took less than an hour to prepare everything and it was also delicious, nutritious and satisfying. Thank-you to our neighbor to the South for the inspiration and a good friend who is finally official! It took me a minute to get the blog post title..cute! The meal looks splendid!